The Starter Pack should be available for pre-order today via Samsung and Best Buy for $549.99. That's a bit more than the Nest starter pack, but it includes a touchscreen Security Hub, two Door and Window Detectors, and one Motion Detector. The wall-mounted Hub is also a regular SmartThings hub, so you can connect more devices like door locks and cameras to your system. Samsung will sell you additional sensors as needed. There's even a $199.99 expansion pack with fire, carbon monoxide, and water leak detectors. You can install all these components yourself and use them to monitor your own home via the SmartThings app. However, the ADT partnership is a big part of the draw here. 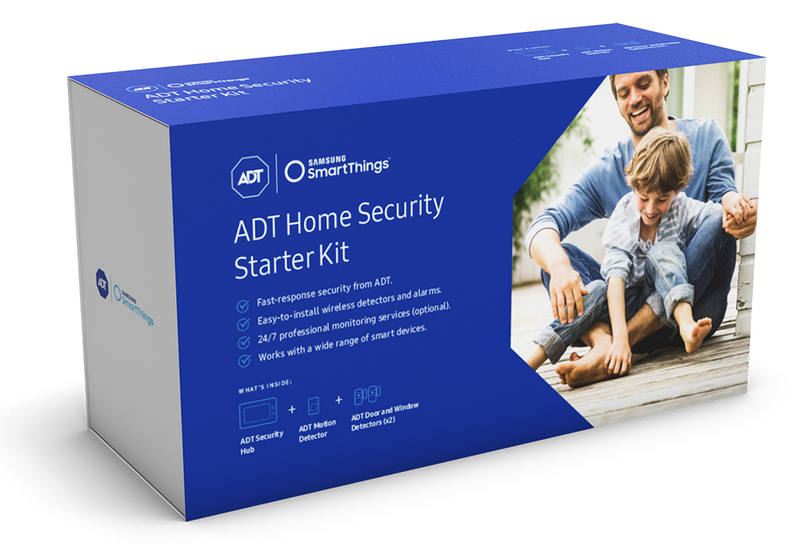 You can set up monthly monitoring via ADT for $14.99 to $24.99. At the lower tier, all you get are smoke, fire, carbon monoxide, and water monitoring from ADT. The higher price is full security and intrusion monitoring. There's no contract required, so you don't have to keep the ADT monitoring if you don't want it.